We can help you MAINTAIN, RESTORE or ENHANCE your smile to be its absolute best. Joseph Wiggs, DDS and his team welcome you to our family practice in Midtown Nashville. We provide general, restorative, and surgical dental care at our state-of-the-art facility. Visit us, and schedule your next dental appointment with Dr. Wiggs today! Our practice is proud to provide services to patients in Midtown, Downtown, the Gulch, Vanderbilt, Nashville, Brentwood, Bellevue, and areas across Davidson County. In-network with most major insurances – Click here to see a full list. We offer preventive dental services for the whole family. We will keep your teeth, gums and smile in top condition. 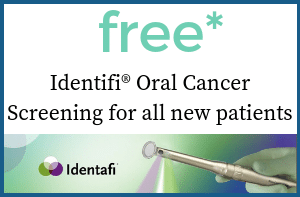 including Exams & Cleanings, Periodontal Therapy, Oral Cancer Screening & Mouth Guards. 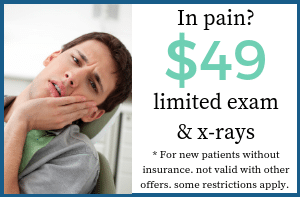 We are in-network with most dental PPO insurance plans, including Delta Dental, Blue Cross, Cigna, Metlife and more. Click here to see a full list of insurances that we accept. Additionally, we offer CareCredit Financing to help you pay for more expensive treatment over time. CareCredit offers financing as low as 0% for 12 months. Invest in Yourself. Smile Confidently. Live Your Life to the Fullest. With Dental Implants, You CAN love your smile again. 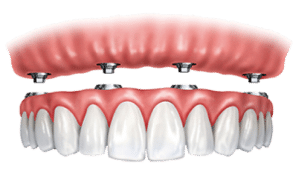 Dental Implants, Implant Dentures and Implant Bridges are a revolutionary, natural-looking and permanent tooth replacement method for failing or missing teeth. We place and restore Dental Implants! Offering a Consultation + 3D Diagnostic X-Rays + Financing + Treatment + Post-Treatment… done by our caring dental team, all under one roof. 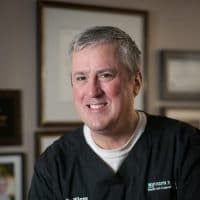 For more than 20 years Dr. Joseph P. Wiggs has committed himself to providing dental treatment that is respectful of the patient’s time, comfort level and dental health. His goal: to change patients’ expectations about dentists. Dr. Wiggs and his staff know that your time is valuable. 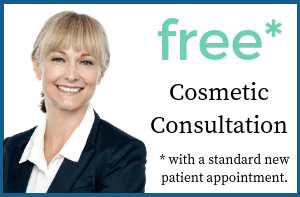 That is why they make it a priority to see you at your scheduled appointment and address directly any concerns you may have. We accept cash, debit cards, and most major credit cards, most major PPO insurance plans, and are pleased to offer financing through CareCredit® Healthcare Financing.